When people come to San Antonio, they’re pretty much guaranteed to have two items on their hit list: the Alamo, and the River Walk — where you can stroll among tall cypress trees, big water birds, cyclists and joggers, and through cozy riverside patios. Restaurants like Boudro’s make fresh guacamole tableside while you lounge on a patio under palm trees and vines, and the colourful décor of Ácenar might make your fried oyster taco taste even better. It’s all about outdoor seating along the River Walk, and it somehow manages to stay comfortable, even on a warm San Antonio afternoon. So grab a margarita, settle in, and watch the boats float down the river. 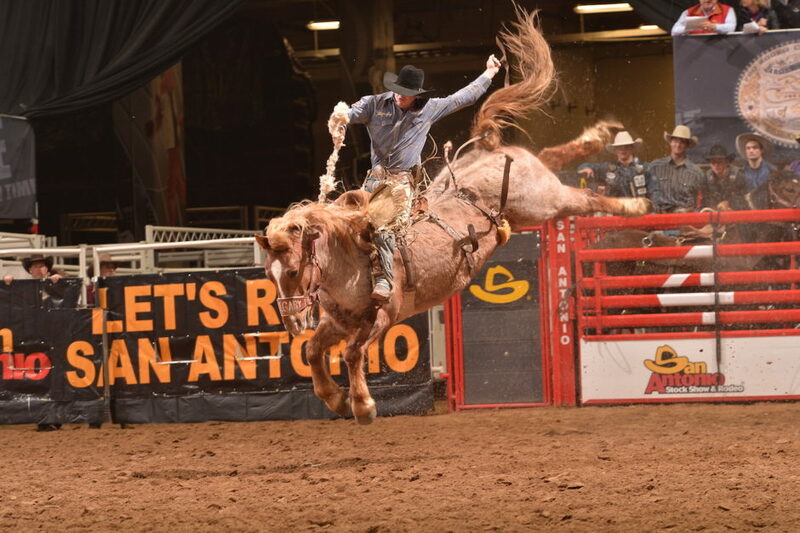 “Let’s Rodeo San Antonio” becomes the most frequently heard phrase across the city for a month each year, as we celebrate our cowboy heritage during the San Antonio Stock Show and Rodeo. Running basically the entire month of February, you’ll find actual rodeo events (including rodeo clowns, calf ropin’, and mutton bustin’), as well as livestock judging, carnivals, and lots of shopping — cowboy boots, anyone? Perhaps even more appealing are the big-time artists that perform throughout the month — Brad Paisley, Toby Keith, Pitbull, and Darius Rucker have all been on the bill, drawing screaming fans from around the state and beyond. Tickets to the rodeo grounds themselves start at $12 (with free days for college students on Thursdays). San Antonio has a diverse landscape (especially compared to the rest of Texas), with the Tower of the Americas dominating downtown, the San Antonio River traversing the city, and the beautiful Hill Country rolling on to the north. See it all from above with Alamo Helicopter Tours. You can fly over the river, the San Antonio Botanical Gardens, the historic missions — or all of the above. Tours range in duration and price, and chartered flights are offered as well if you’re looking to travel in style. Fiesta San Antonio is a bit like a New Year’s celebration held every April — it’s an 11-day party where the entire city comes to a standstill to celebrate the heroes of the Alamo and the Battle of San Jacinto, arguably the two most iconic events in Texas history. In the kickoff to the annual event, all the party-goers gather at Alamo Plaza, where the Alamo is located, shouting “Viva Fiesta!” under the crackling display of lights. And we get pretty excited about enthusiastically breaking cascarones (eggshells filled with confetti) over each other’s heads. That’s just the beginning. The party continues with an array of events and activities for everyone — including “A Night in Old San Antonio,” the Battle of Flowers Parade, a nighttime parade, and the King William Fair. This food-and-drink-filled wonderland is a cultural medley — look for German, Mexican, Spanish, Cajun, Asian, and Southern flavors. Looking for an Oktoberfest experience, but can’t swing a trip to Germany? Head to New Braunfels (just north of San Antonio) during Wurstfest, which bills itself as a “10-day salute to sausage.” The festival is a celebration of Texas’s German heritage, with food, music, dancing, and of course, beer (German, Texan, and domestic). It’s a great opportunity to get the Beerfest feel without having to go to Europe. There’s plenty of German culture in New Braunfels, which was settled by immigrants arriving from Germany in the mid-19th century. If you’ve ever wanted an excuse to break out your dirndls and lederhosen within Texas state limits, this is your chance. Sam’s Burger Joint is an institution in San Antonio that pumps out amazing music and amazing burgers. While you can typically catch a great show any day of the week here, Monday nights at Sam’s are something everybody should experience at least once. Swing night, San Antonio style, mixes swirling, twirling dancing with award-winning live bands featuring fiddles, trumpets, and steel-stringed guitars. Swing classes are conducted an hour before the dance floor officially opens, and while it might take a few sessions to build up true confidence, everyone is easy going enough that even novices can strut their stuff. American history doesn’t get much older than it does in San Antonio. There are only 23 World Heritage Sites in the US, and the only one in Texas is right here, collectively referred to as the San Antonio Missions — four mission sites, the Alamo, and an historic ranch, Rancho de las Cabras. The Missions date back to the 18th century, when Spanish priests set up shop to convert the local indigenous peoples to Catholicism. The Alamo, or Misión San Antonio de Valero, was eventually converted into a fort, and gained the fame it has today during the Battle of the Alamo in 1836. Together, they represent the largest concentration of Spanish missions in the US and attract millions of visitors every year. Bonus: This only-in-San Antonio experience is entirely free. There’s no better use of the phrase “a diamond in the rough.” This showcase is exactly what it sounds like, and it’s so far out there, so strange, and so weirdly beautiful. Barney Smith is the 95-year-old curator of the Toilet Seat Art Museum — his encyclopedic knowledge of its more than 1,200 art pieces, all of which are set on toilet seat covers, is guaranteed to leave an impression. Admission is free, just call ahead to schedule an appointment. San Antonio may be modern in many ways, but it’s home to some throwbacks to retro Americana — fused with San Antonio flair. Hailing from the glory days, Cool Crest Miniature Golf has been a fixture of San Antonio putting for almost 90 years, first opening in 1929. Located in the Deco District near the center of the city, it has two 18-hole courses. Kiddie Park is a 1920s-era theme park, and is the oldest children’s amusement park in the country. Also recently renovated, it has a ton of fun activities for vintage prices (an unlimited ride band is $11.25 on Wednesdays), as well as an arcade, pony rides, and a variety of amusement park rides, including an original 1918 carousel. Looking to turn your throwback into a date night? The Mission Marquee Plaza, formerly the Mission Drive-In, just started screening movies again in May. Though it’s not quite a drive-in, you can bring your lawn chair for free movies in the park throughout the year to catch titles like The Hunger Games and Star Wars: The Force Awakens on the giant restored screen. The future of theme parks came first to Six Flags Fiesta Texas. No longer are roller coasters limited to dips, turns, loop-de-loops, and the occasional tunnel — the Superman Krypton Virtual Reality Coaster is here and makes all other roller coasters as exciting as the tea cups. It’s as awesome as it sounds: You throw your virtual reality set on and fly through the air with 360-degree views of Metropolis and a run-in with Lex Luthor and his army. It reaches speeds up to 70mph, so hold onto your hats. After you’ve defeated the LexBots at Six Flags, a 20-minute drive to the south is SeaWorld San Antonio. There are lots of great rides and shows (be sure to sit in the splash zone), but easily the best way to keep the adrenaline running from the virtual reality coaster is swimming with the dolphins at Discovery Point. It’s the only place you can do it in Texas, and it won’t seem like real life, either. San Antonio is full of military history and there are still several air bases in the area, so it’s pretty common to look up and catch an F-16, a C-5, or even an F-22 streaking across the sky. With all this action in the air, it isn’t hard to imagine why San Antonio is considered by many to be the birthplace of American military aviation. 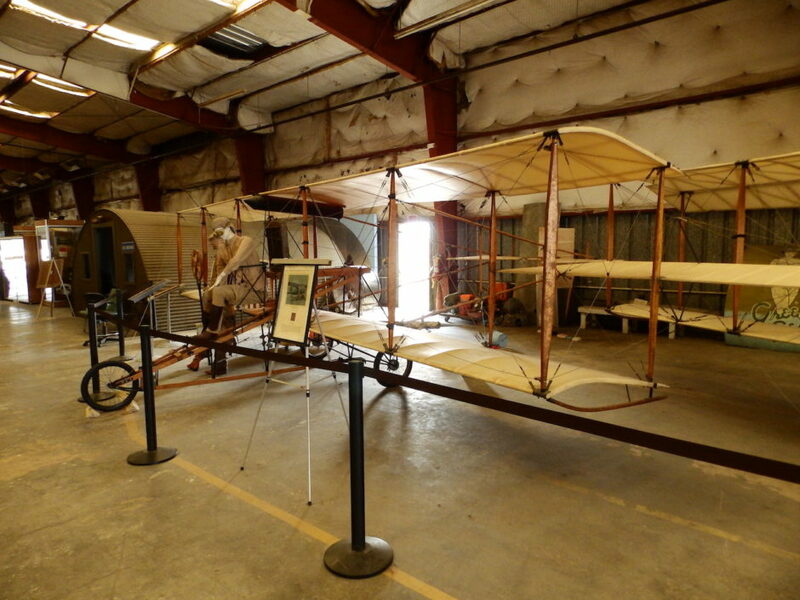 The Texas Air Museum includes exhibits on early aircraft, vehicles, uniforms, and other pieces of military hardware — all housed in Stinson Filed, the second oldest airport in the country. The museum, located just south of downtown, provides a fun, educational, and affordable outing for the whole family; tickets for adults are just $4. 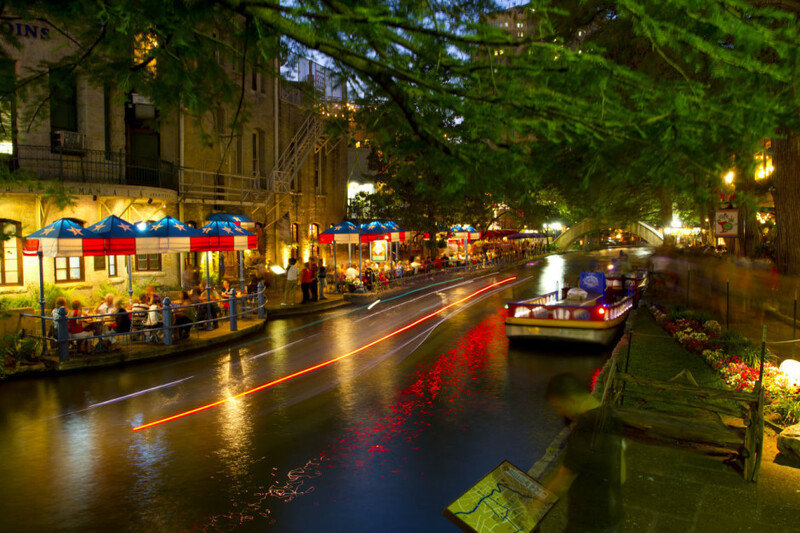 The river runs through the heart of San Antonio, and while it’s a great place to spend a laid-back evening anytime, there are certain times of the year when the whole thing lights up. In the winter, thousands of Christmas lights are draped throughout the downtown riverfront, making for a spectacular show of dappled reflected light. Hop on a guided boat tour and cruise the water, or visit during the holiday season for annual boat caroling, when close to 200 schools, churches, and other groups take turns singing your favorite holiday tunes aboard boats drifting down the river.